I am Susan Walker. 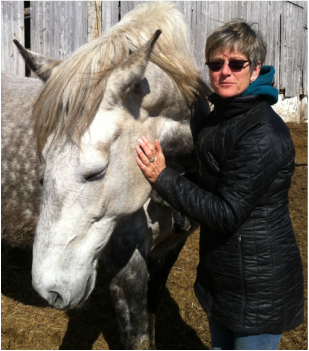 I founded Gimme Paws - Animal Healing in Hamilton, because I have a passion for the health & well-being of your animals. I work with animals of all shapes & sizes, all states of health & all ages for all reasons. I will help your animals if they are sore, tired, overweight, anxious, lethargic, before surgery, after surgery, if their time on earth is new or if their time with us is coming to a close. I will help you understand what it is they need & want from you. I will help you & your animals deepen your relationship, clarify what each of your jobs may be & enhance the quality of your lives together. Together we will ease your lives! I am Susan (the) Walker because I walk as much as I can with anyone, anywhere. Just so's you know! Massage is most likely the first medical procedure practiced by man. One of our tools for aiding in the healing process.